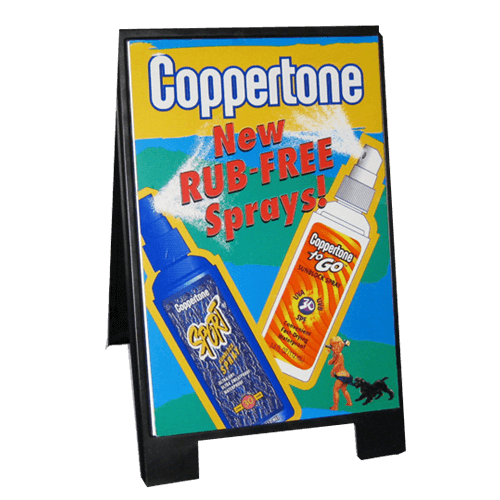 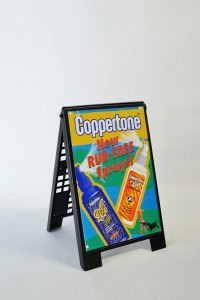 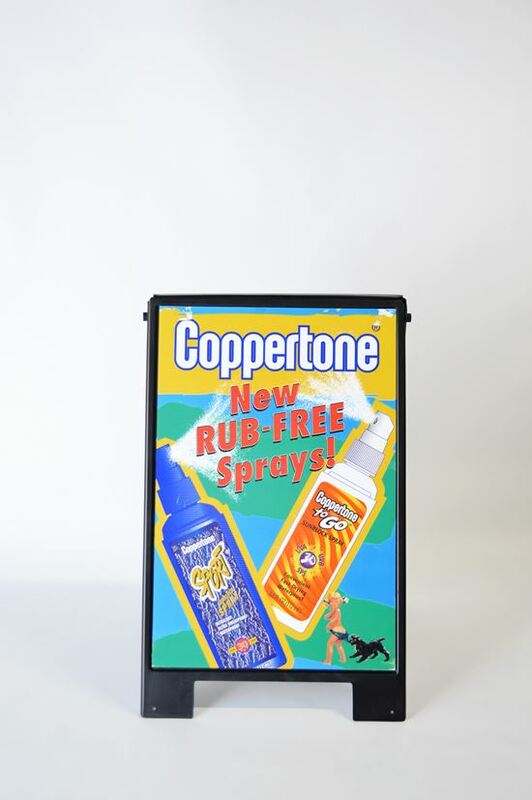 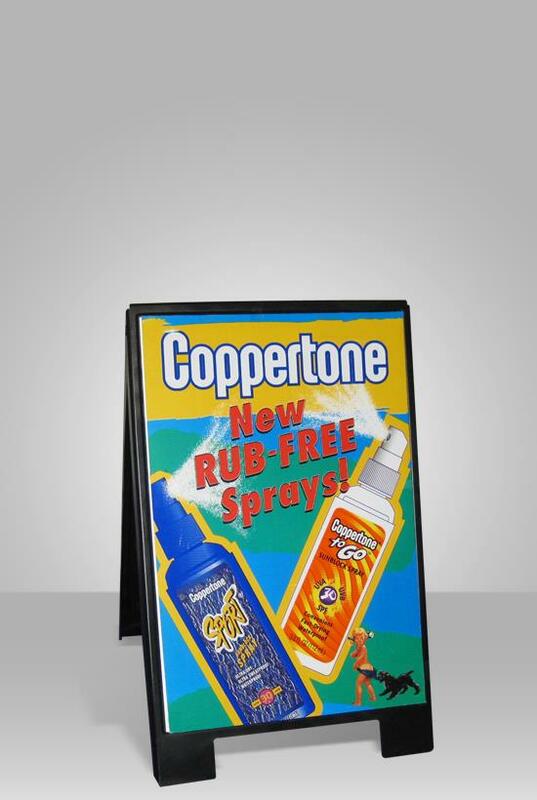 The patented A-Frame SuperSign is manufactured from a virtually indestructible high-impact UV resistant polyethylene material that will not break, crack or fade. 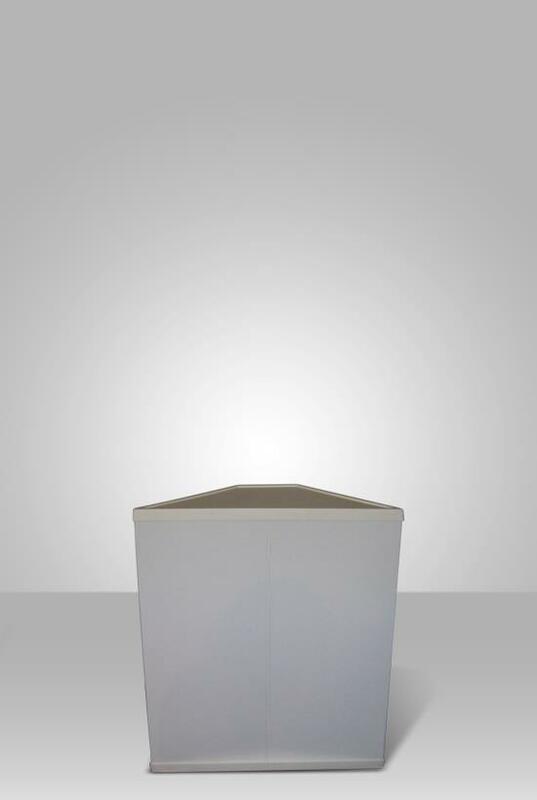 SuperSign features over 12 square feet of a 4-sided graphic capability. 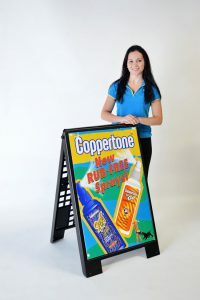 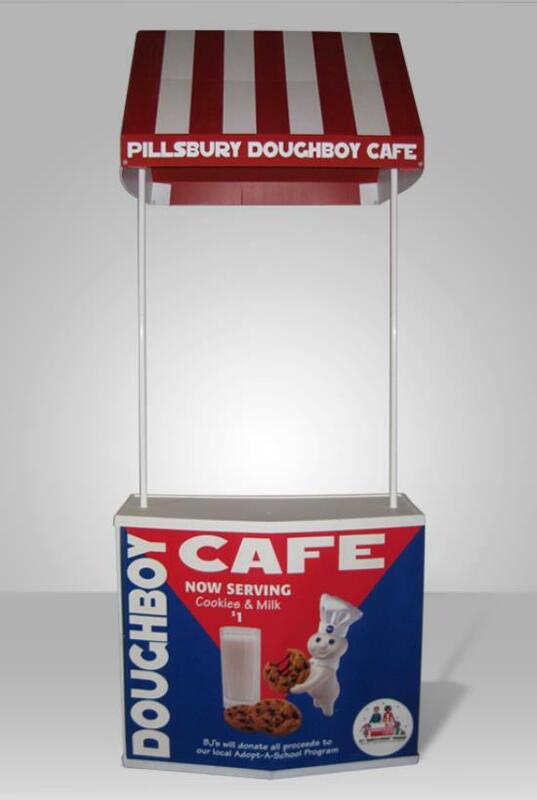 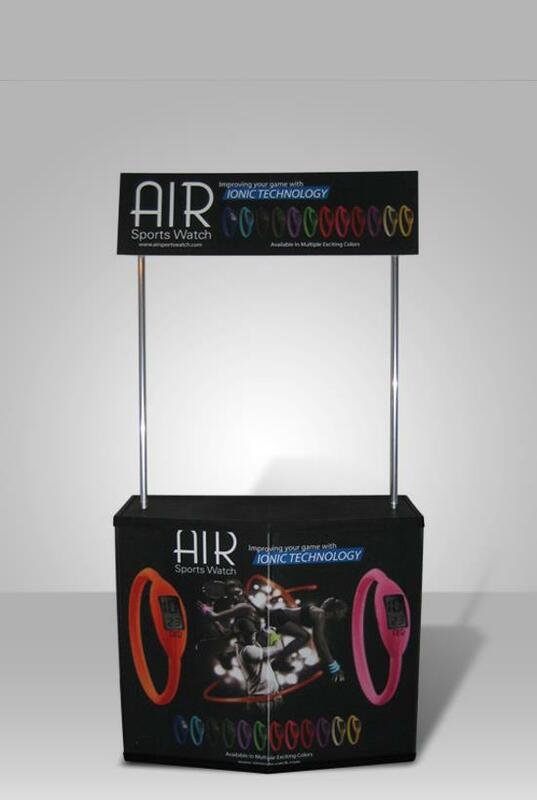 This affordable portable sing offers vendors the opportunity to create awareness with convenient interchangeable graphic panels available in a variety of colors of plastic, chalkboard, marker and poster board.